If you have any doubts about how bright a projector with Casio's hybrid light source (LEDs plus a laser) can be, take a look at the XJ-H1750, the current top of the line choice for Casio's Pro models. Casio rates it at 4000 lumens, and we measured it at about 3700. 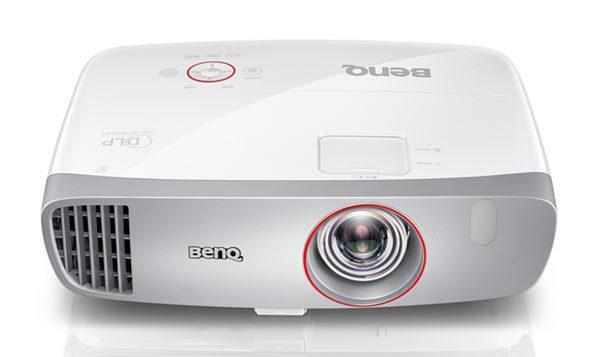 Along with the convincingly bright image, the DLP-based projector offers 1024x768 resolution, excellent data image quality, and lots of extras, from WiFi support to reading files directly from a USB memory key. As with earlier Casio models, however, the light source remains its most interesting feature and a key attraction. Casio uses red and blue LEDs for the projector's red and blue primary colors, plus a blue laser shining on a phosphor element to produce green. Replacing a traditional mercury-based lamp is an obvious environmental plus. It also helps keep total cost of ownership down, since the light source is meant to last the life of the projector. Even at the hefty $2199.99 price, not having to buy replacement lamps can make the XJ-H1750 more economical than a less expensive projector with a $200 or $300 lamp replacement cost every 2000 or 3000 hours. Other noteworthy features include five Eco levels plus an automatic Eco mode, which adjusts brightness based on ambient light. The result is both intriguing and an attractive choice for a medium to large size conference room or classroom, particularly if you give extra points for being eco-friendly. Wow, great leap for Casio! Now, bump up the lumens to 5k, and make it HD and I'm in for 4 or 5 units. But this model should be great for a large variety of uses right now! I wonder if these lasers could harm the eyes as at the end of the day they are [%#^&*&*@] burning lasers.What they can do is amply demonstrated on many youtube videos.What we are seeing is reflected laser light.Isn't it ? A 1024 x 768 resolution projector? For over $2,000? In almost April 2012? No.... I don't really think so. Although I did love the 1990s so much. The 10,000 hour warranty does not sound all that much, either. But the rest out there is even worse than this for PJ warranty. WOW 4000 brightness with 20000 hrs life its a good deal if its offered with short thoro lense of .5 or less lense ratio and Native resolution Wxga with little improved uniformity lets say 85% I would love you use it for my control room applications. Sheesh! Why are we dragging our heels so hard on the resolution, going up half a step at a time at big cost? By the time projectors make it you'll be able to walk into Home Depot and leave with a 4x8 ft flat screen for ninety bucks. i am missing the statement about the lumens degradation ??? this model is stable ? stable lumens output OVER THE 20000 LIFE ?